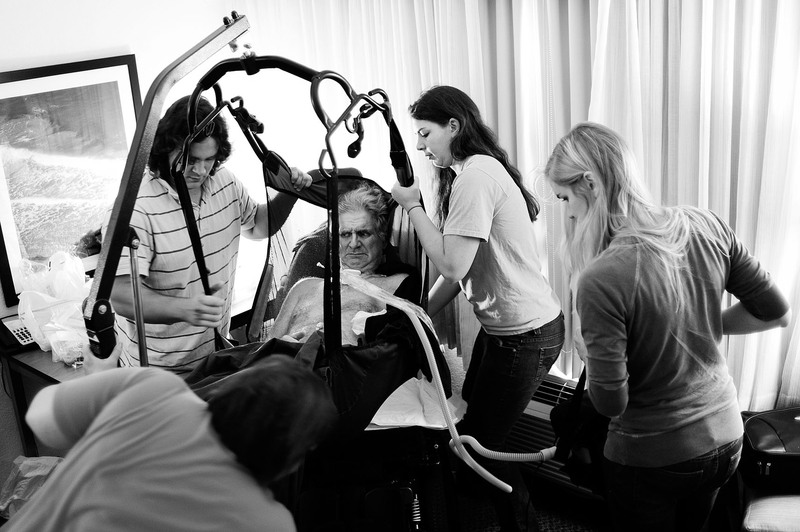 From left, Justin Chirpy, Lauren's boyfriend, Bob, Lauren, Leah and Anita work to move Bob in a patient lift as he is transported to his motorized wheelchair and given a wipe down with moist towels at a hotel Feb. 7, 2011 in Jupiter, Fla. This was their last planned family vacation. Anita says she knew it was becoming taxing on Bob's body.